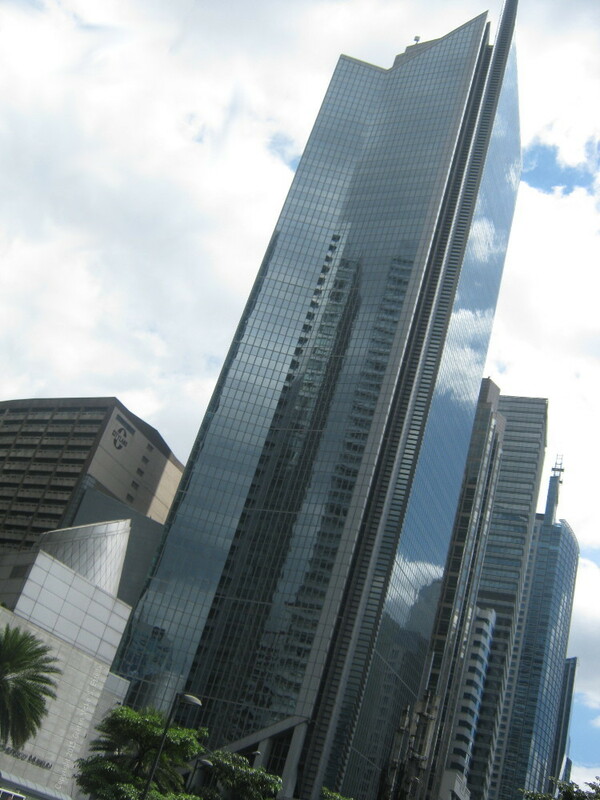 landmarks Situated at the corner of Ayala Ave. and H.V. 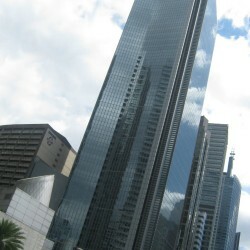 dela Costa, across RCBC Plaza and adjacent to Ayala Life FGU Center - Makati. How to commute to GT Tower? Board a jeepney or a bus that traverses Ayala Avenue. Please refer to: Traversing Ayala Avenue in Makati CBD. Disembark at the unloading zone between V.A. Rufino St. and Paseo De Roxas. Walk due northwest towards V.A. Rufino and use the pedestrian underpass to exit to the side of SLC Building (gray low-rise building). From the front of SLC Building, continue walking due northwest and you will reach GT Tower just before the next intersection. You may also travel to GT Tower by boarding a jeepney that traverses Gil Puyat Ave. either coming from EDSA or from Taft Ave. and disembark at The Columns or One Central respectively. Then, proceed to the back of RCBC Plaza either by entering its Gil Puyat Ave. entrance and exiting through the other side, or by walking around it. From the back of RCBC Plaza facing H.V. Dela Costa St., you will now see GT Tower and you can walk towards it either by using the nearest pedestrian crossing or the underpass along Ayala Ave.
Posted on April 3, 2015 under Offices. Last updated on 01 Jul 2017. .